Patterns are a hot trend in flooring. Patterned floors certainly make a design statement but they are also a great pick for busy homes because of their ability to mask wear and tear. Whether you are considering a patterned floor for practical or beautiful reasons, you simply can't go wrong. A set of patterns that we are seeing over and over? Geometric patterns. Chevrons, octagons, overlapping circles, varying sets of squares... classic geometric patterns are popping up in floors all over Indianapolis. 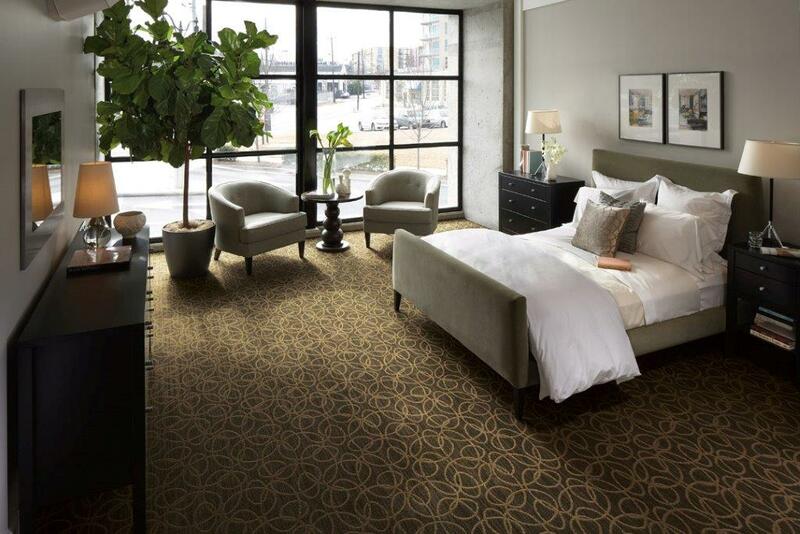 Some of the best-selling carpets in our Indianapolis carpet store are patterned. Patterned carpets are great for starter homes that are looking to get a few more years out of their carpet. They are equally great in executive homes that are looking to make a unique design statement. Not sure you want to commit to a wall-to-wall pattern? 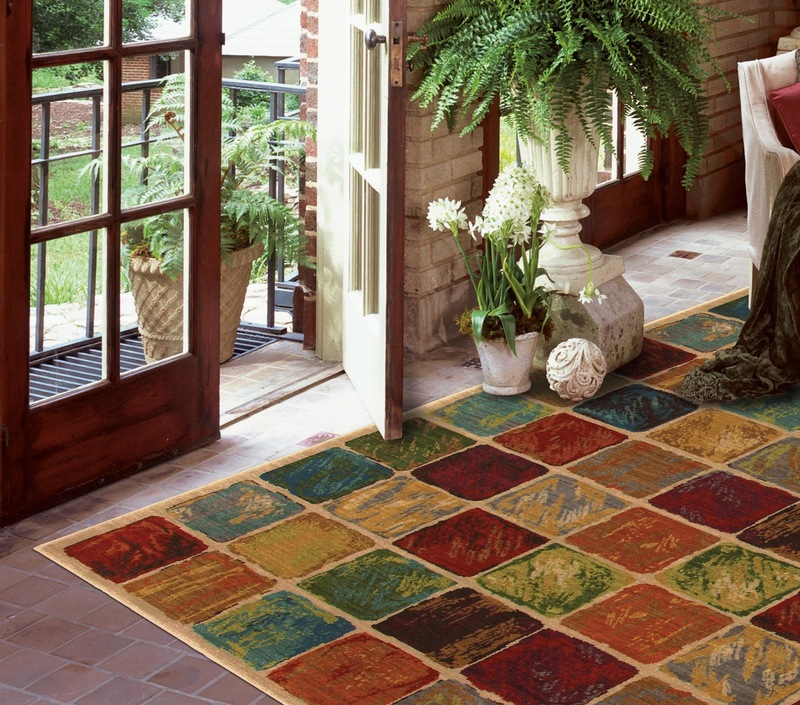 Add a patterned area rug to your room to incorporate this fun trend as a design element. In fact, if you find a patterned carpet that you love, give us your dimensions - Kermans can make a custom area rug for you! Whether you're looking at ceramic or porcelain tile, laminate or solid hardwood, you can still take advantage of the geometric pattern style. In this case it's all about the installation. Kermans flooring store in Indianapolis is staffed with flooring design experts. They aren't just knowledgeable about flooring, but also filled with ways to get creative with your floor. You can choose to have your floors installed in a non-traditional fashion that creates a beautiful, distinct geometric pattern in your home. You can create a geometric floor pattern with just about any type of floor and Kermans Flooring in Indianapolis is ready to help you do just that. Stop by our Indianapolis flooring store and take advantage of our free design assistance to find out how you can incorporate patterns into your home flooring.